I told you traveling is hard work! 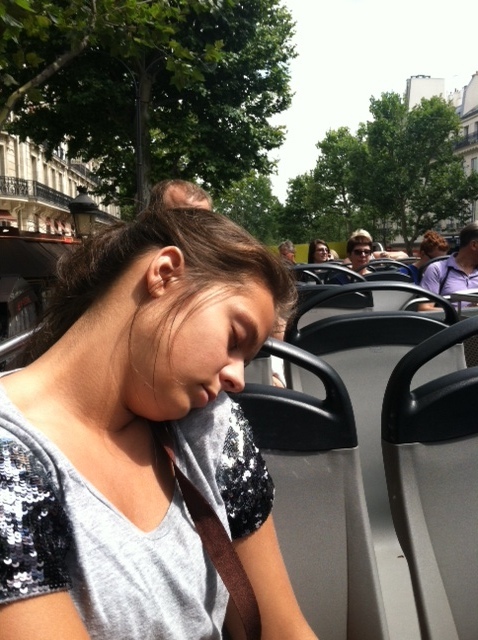 My niece, Alayna, catching a nap on the bus. I’ll be back in time for mah birfday. Ha ha! Wakey-wakey! You’re missing Paris! Oh… the young. Sigh. It *is* exhausting, travelling. It’s true. Especially w/ jet lag, too. It appears as if you and your family are having a wonderful time. Team Julie is so happy for you all.